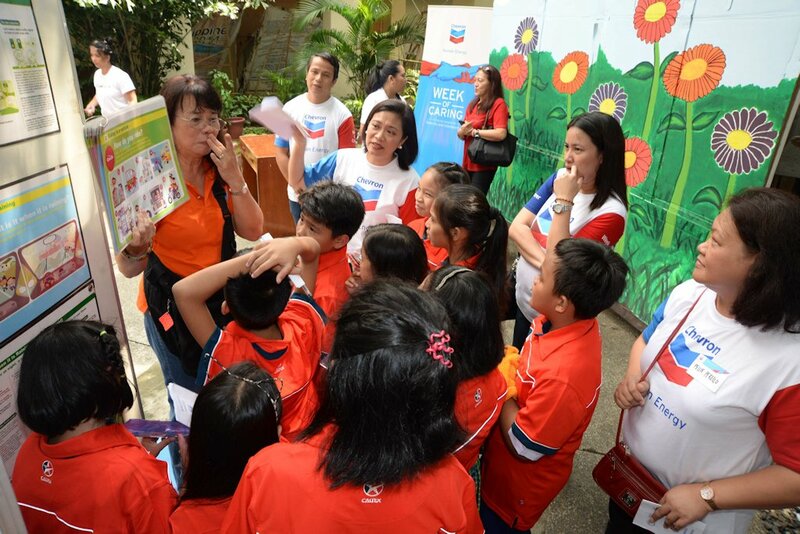 Students of Makati Elementary School will now be more road safety conscious during their commute thanks to Chevron Philippines Inc. (CPI), marketer of Caltex fuels and lubricants. As part of CPI’s 2016 Week of Caring (WOC) program, CPI employees in partnership with Automobile Association of the Philippines (AAP) conducted a road safety education program with role-playing activities and outdoor games to teach safety in a child-friendly format. Held on Day 3 of this year’s WOC, which is the annual corporate volunteerism program of CPI, the seminar targeted grade five and six students whose parents bring them to school using motorcycles. Studies show that motorcycle riders more than 50 percent risk of figuring in an accident. Spreading the CPI culture of safety and dedication to fostering safer communities, 34 CPI volunteers participated in the activities especially in the role playing games to make the learning activity more meaningful and fun for the students. The students also received motorcycle helmets to ensure safer travel as part of the application of the program. “It is essential that we instill obedience and discipline to the students at their young age because as they grow old, they will bring with them their knowledge on basic road safety procedures.” said Mr. Alberto Suansing, Philippine Global Road Safety Partnership Secretary-General. Week of Caring is a five-day program that advocates volunteerism among its employees and business partners. CPI has been implementing the WOC in the Philippines for the past nine years.